You need the App to vote, but it's only available for Android! 4.) Then you'll reach the terms and conditions page, Just tick both boxes and proceed. 5.) On the registration page, fill up the first 4 and you may proceed along & you're done with registration. 6.) 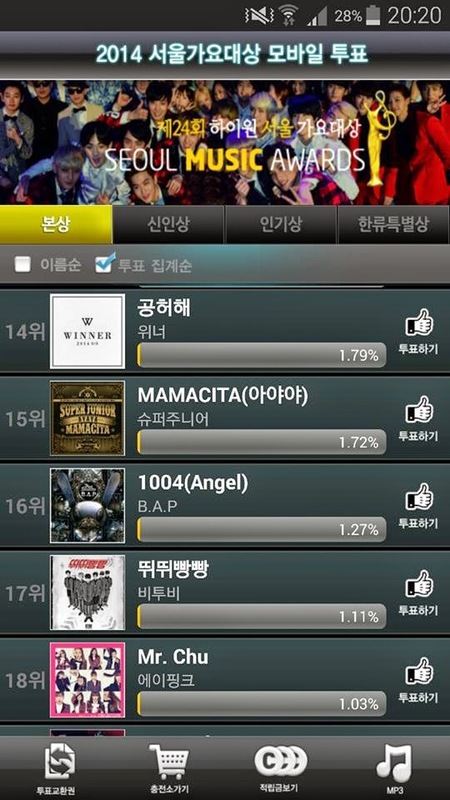 You'll see this popup when you try to thumbs up B.A.P after registration because you do not have enough coins.. just click on the circled one and you'll be directed into a page with a lot of Apps. 7.) 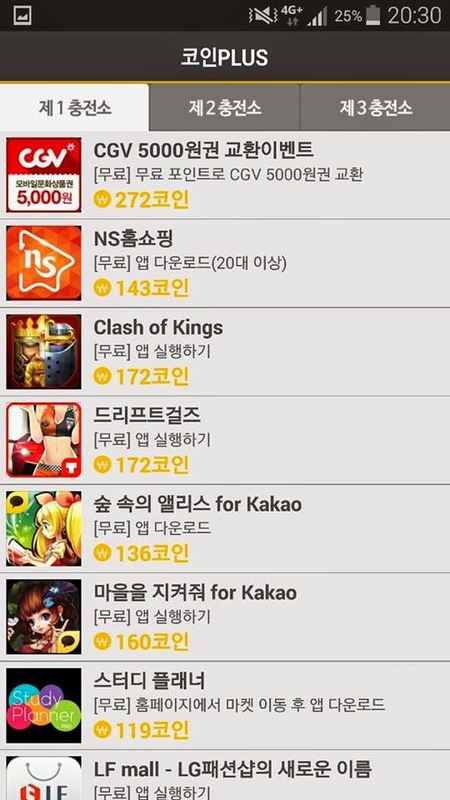 All you have to do is download some of the Kakao games that doesn't require money and you'll be able to get coins. And then be able to vote. A lot of games are not available in countries outside of Korea! When I try to register it doesn't redirect me. I click the yellow button amd the only thing that happens is that a little note shows up- in korean obivously so I can't understand it -.-. What am I doing wrong? If I'm not collecting the coins so I cant vote? what I must do? please help! 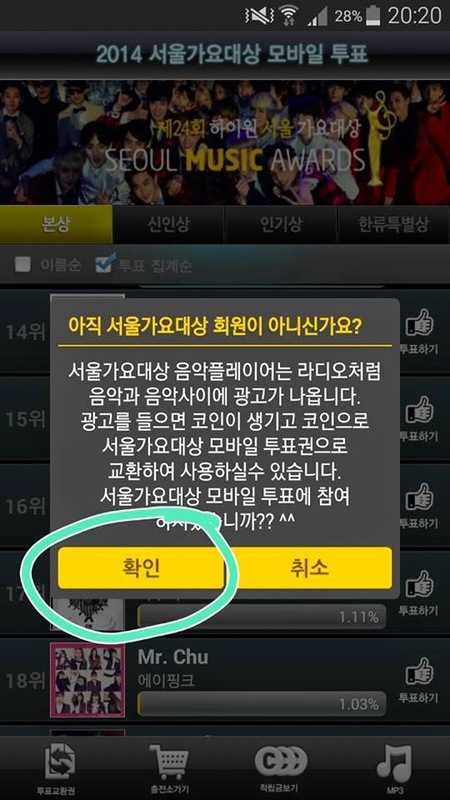 After I done writing my nickname all, (the n.o 5), I press the yellow button but a short note of korean came out. What should I do? 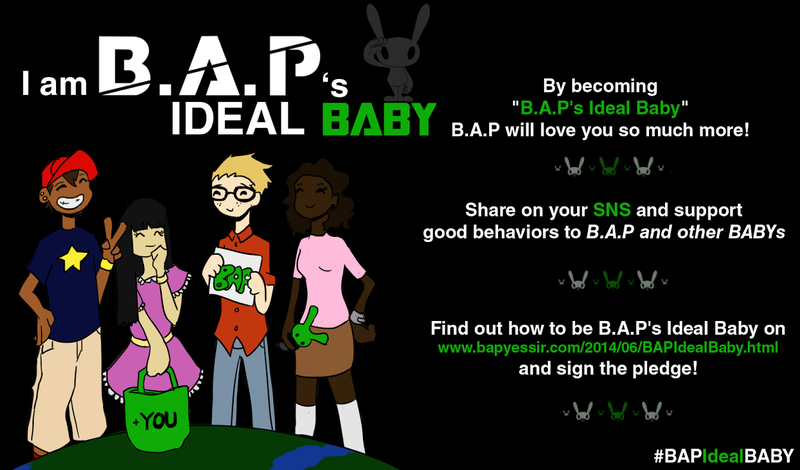 Angel- I hope that helped you if not find me on yt Good Luck (damn B2st again >.<) Anyway Good Luck Babyz Fighting! 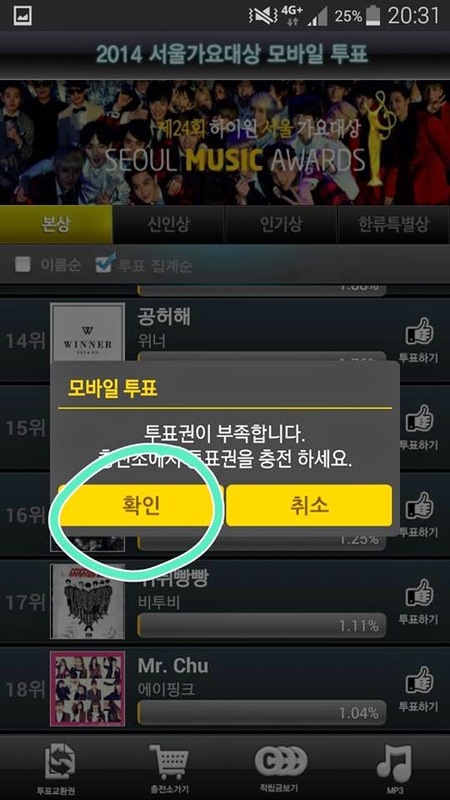 I wrote the password and when I pressed the yellow bottom, a korean note comes out, what should I do!? Help please!! 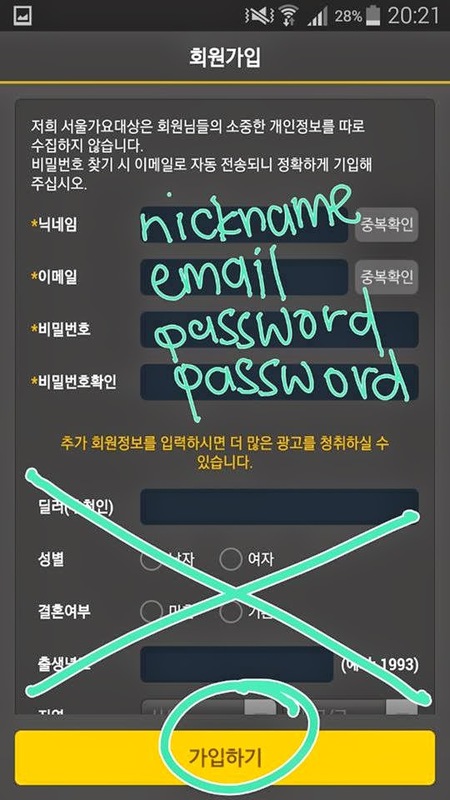 I just wanna ask about voting for 24th Seoul Music Awards. After I've downloaded, got coins and voted, do I uninstall the apps and install them again the next day or do I just run them again to get free coins?